Siliceous unicellular microalgae — diatoms and silicoflagellates from sediments in Amur Bay were analyzed with high temporal resolution to examine changes over the last 150 years. The age of sediments was estimated from unsupported 210Pb controlled by 137Cs. Siliceous microalgae examined in each cm of two sediment cores demonstrated significant changes in the ecological structure of the assemblages that reflected changes in sedimentation conditions. During the years 1860–1910 the sediments accumulated under the great influence of river runoff. For about the next 50 years the number of freshwater species and marine benthic diatoms in sediments sharply declined, which is probably connected with the weakening of the effects of river runoff due to deforestation. Since the early 1960s the sedimentation conditions in the Amur Bay changed significantly. Marine planktonic diatoms and silicoflagellates began to prevail in sediments and this reflects increasing microphytoplankton productivity. One consequence of this was the formation of seasonal bottom hypoxia in Amur Bay. The ecological structure of diatom and silicoflagellate assemblages indicates that the sea level began to rise since the early 1960s and this corresponds to the water and air temperature increase in the area for that period. 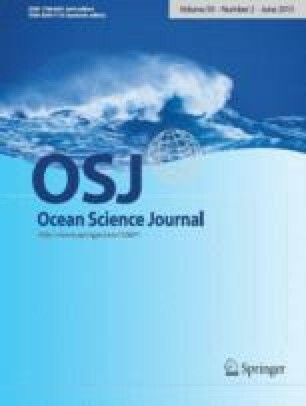 The obtained data suggest that the environmental changes over the last 150 years in Armur Bay are associated with the weakening of river runoff due to deforestation, sea level rise caused by global warming, and the increase of siliceous microplankton productivity that resulted in the formation of seasonal bottom hypoxia.